I finally tried out my new Del Sol nail polish, Trick or Treat. Del Sol polishes are unique and fun because they change colors in UV light, like the sun! 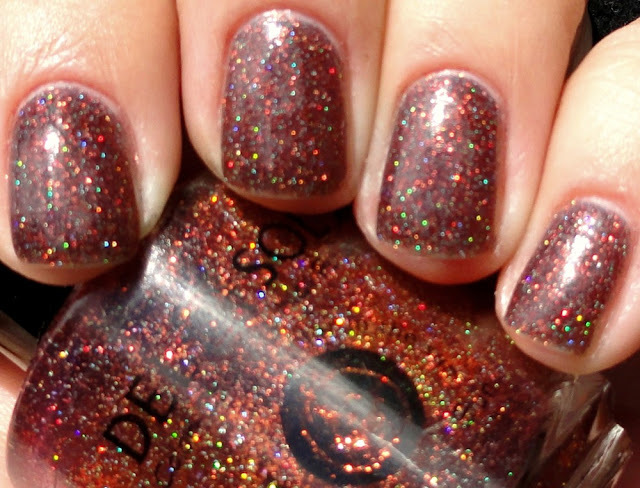 Indoors, this polish is orange glitter with a sprinkling of green. 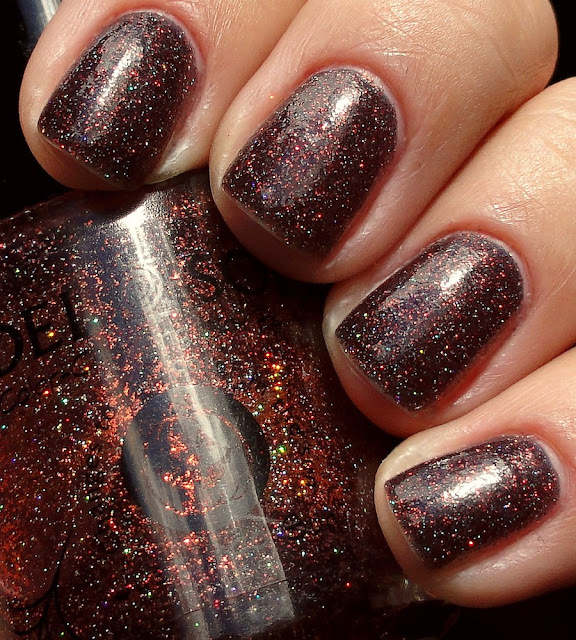 Outside, it transforms into a black/purple glitter with fab diamond-like bits! 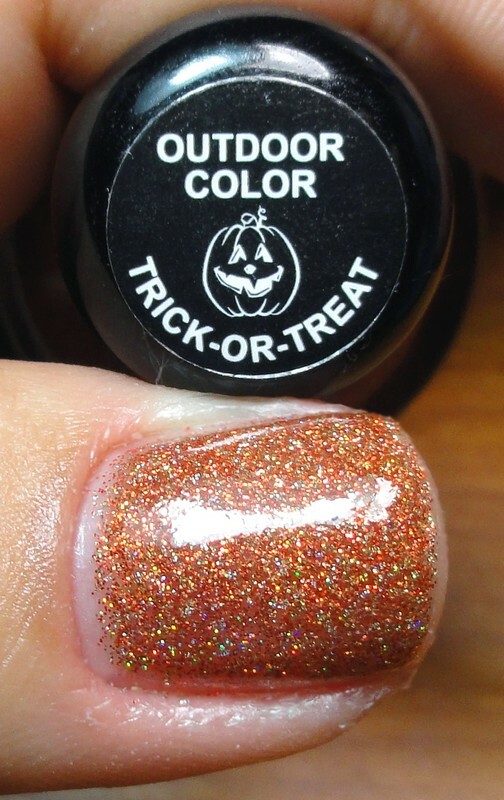 I seriously love this and will wear it all year round, even though it's technically a "Halloween" polish. You can get these at Walgreens, hopefully this display is still up in your stores, it's too good to miss! If not, I believe you can order online at Del Sol.